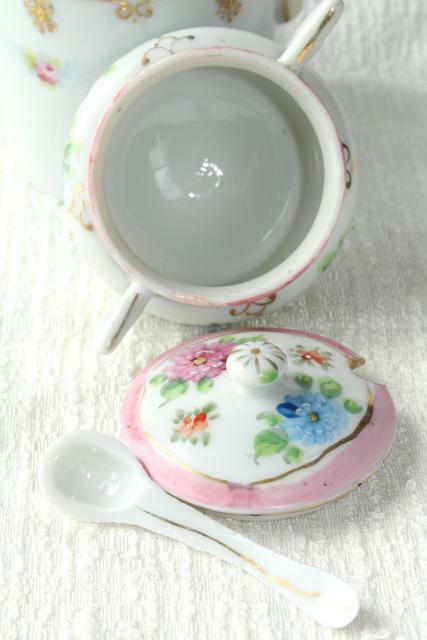 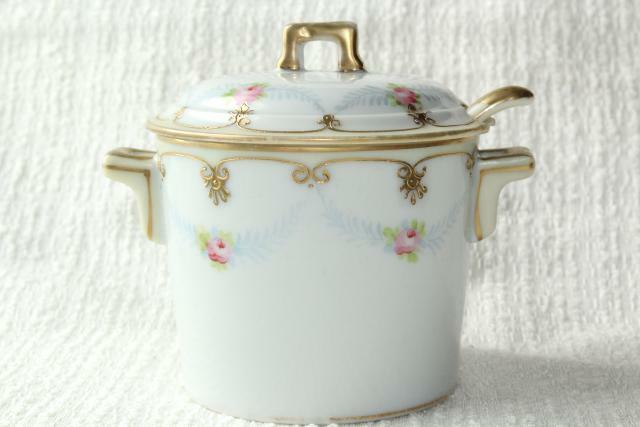 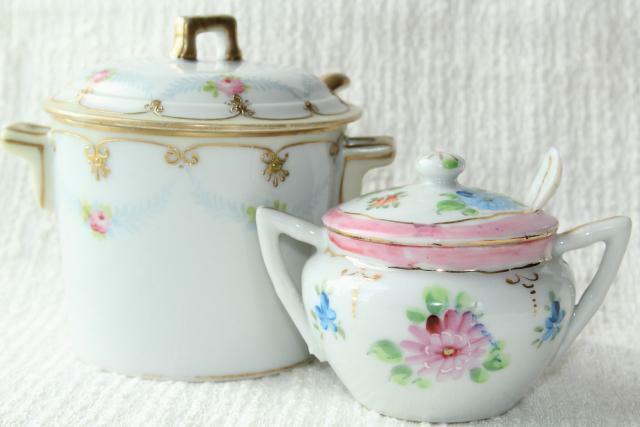 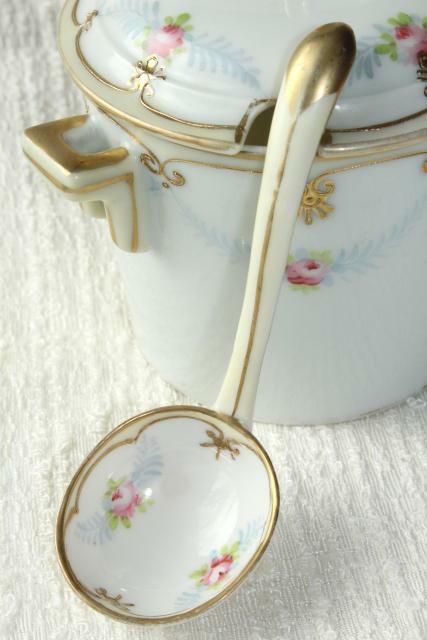 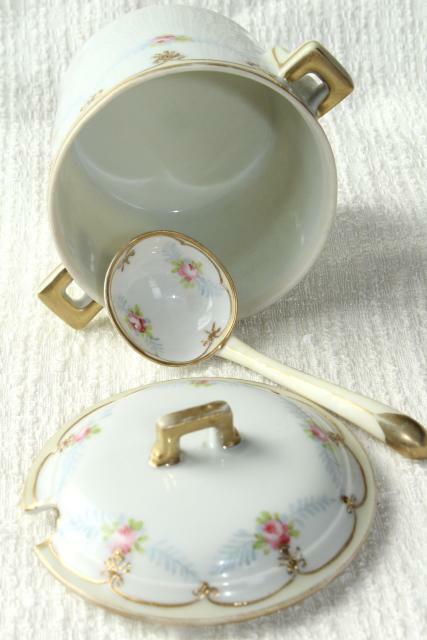 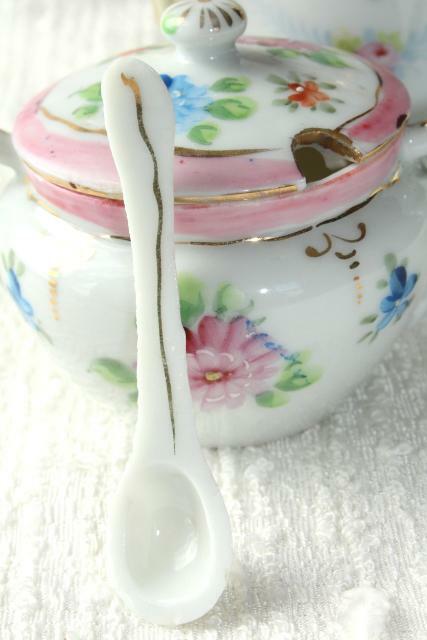 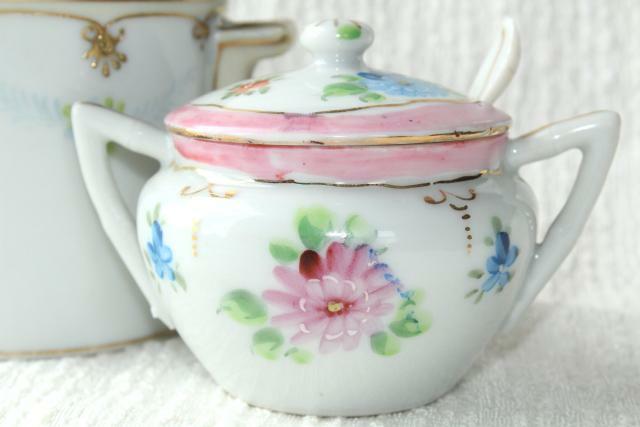 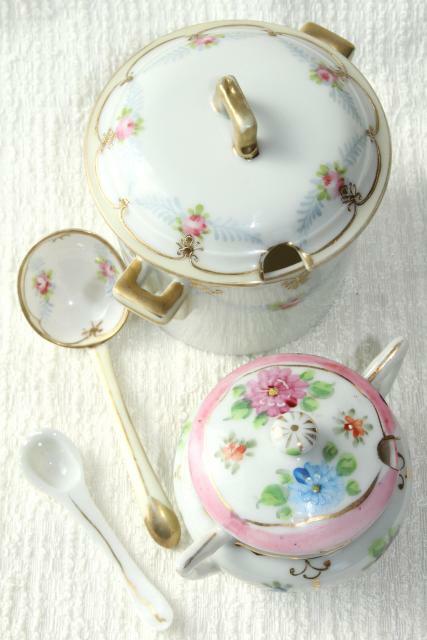 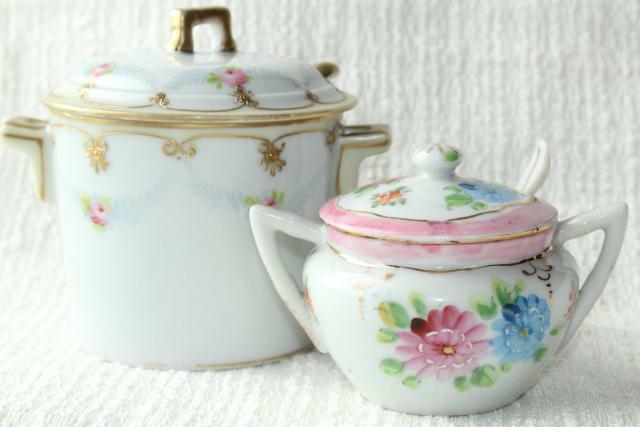 Lot of two vintage Japanese porcelain jam pots with little china spoons, both a little worn and rubbed from use, but nice and clean without chips or cracks. 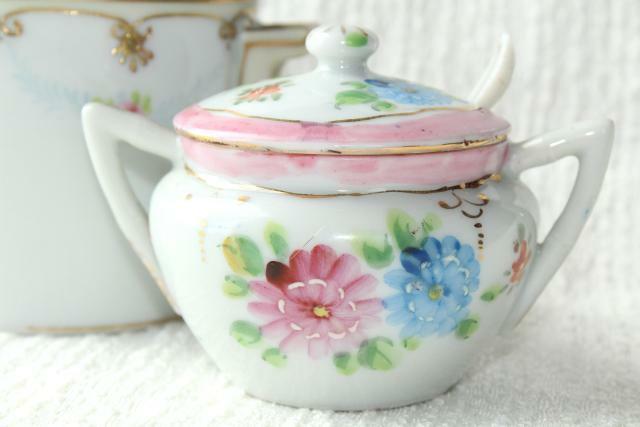 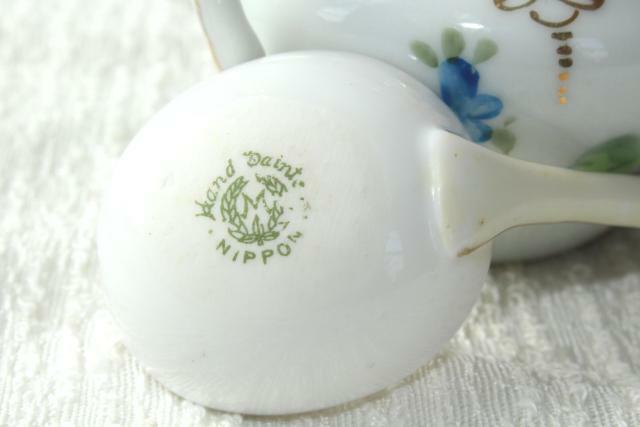 The larger jar is 4 1/4" tall, marked Hand Painted Nippon. 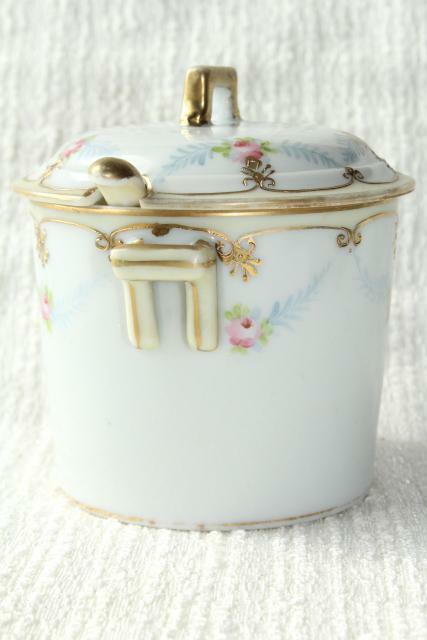 The smaller jar is just shy of 3" tall, and is unmarked, vintage Japan.